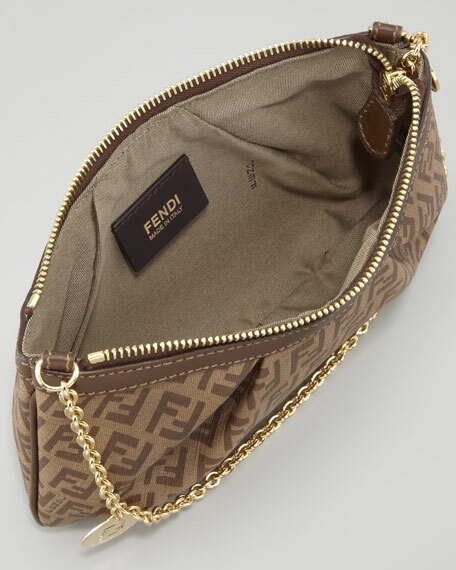 Make your ensemble unforgettable with this Zucca-detailed Fendi pouchette. 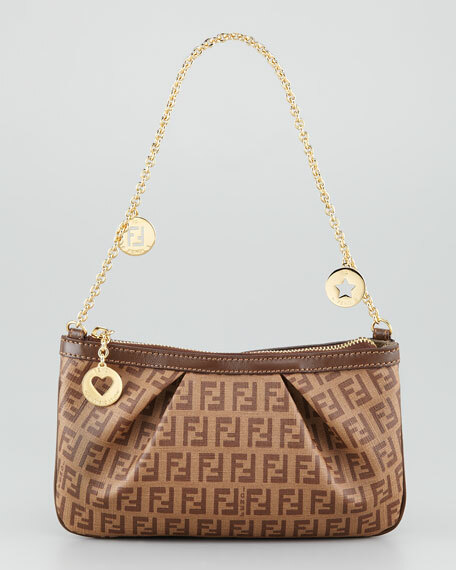 Iconic Fendi Zucca-printed coated canvas (cotton/polyurethane/polyester) with leather trim. 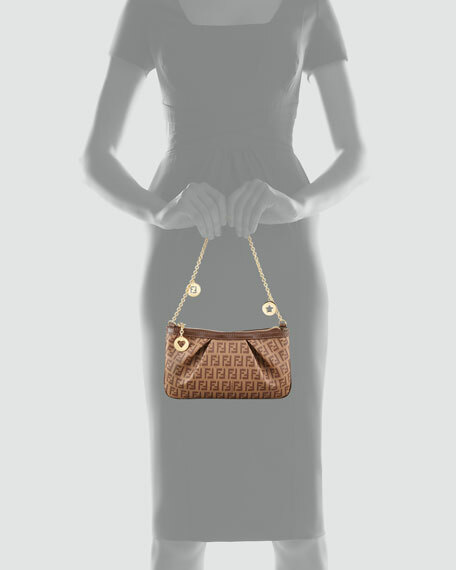 Golden chain handle may be tucked inside; 7" drop; logo charms. Zip top with heart charm. Inside, canvas lining and leather logo tag. 5"H x 8 1/2"W x 1 1/2"D.